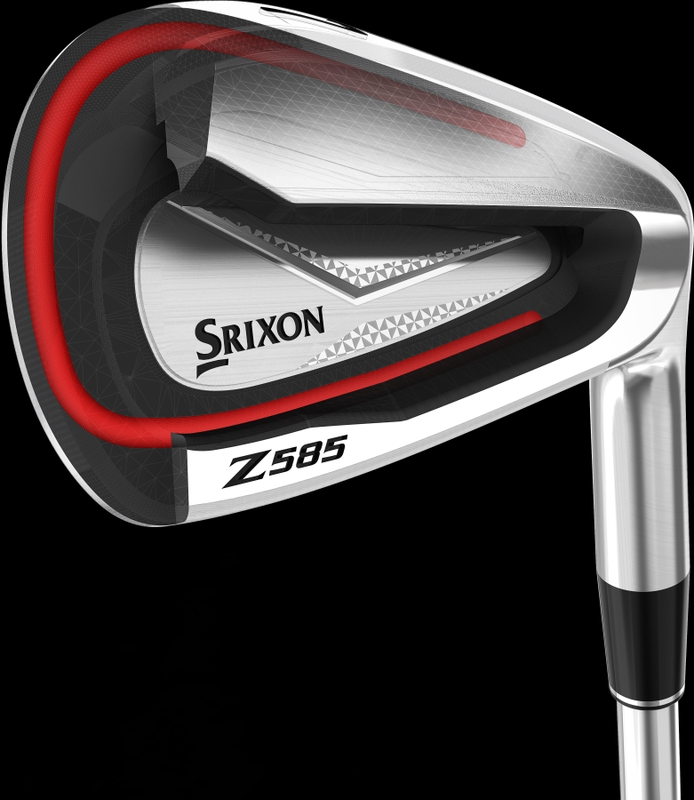 The Z 585 Irons allow you to conquer the course with enhanced distance with the look and feel of a compact player’s iron. It features an internal channel on the SUP10 face insert that allows for more face-flex, enhancing speed and distance. The updated Tour V.T. Sole promotes more consistent ball strikes with smooth turf interaction. The long irons are designed with wider soles for more forgiveness. 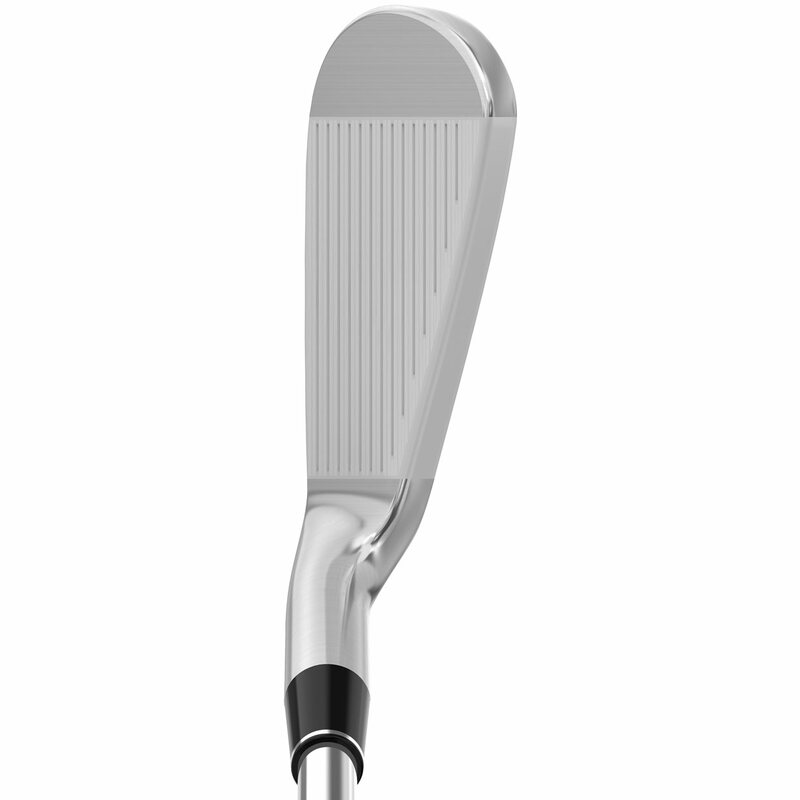 The body is forged from soft 1020 carbon steel and offers less vibration and a better feel through impact. The Srixon Z585 irons offer the ultimate distance and feel in a package that appeals to all player levels. Read on to learn more. 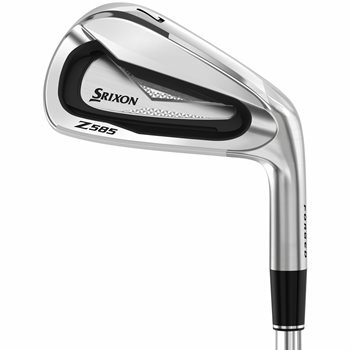 The Z585 irons feature a new Speed Groove to increase distance. An internal chanel in the face insert lets the face flex at impact. The added energy gets transferred to the golf ball, increasing distance. The Tour V.T. sole creates a "v" shape on the sole. It has more bounce on the leading edge of the club and negative bounce on the trailing edge. 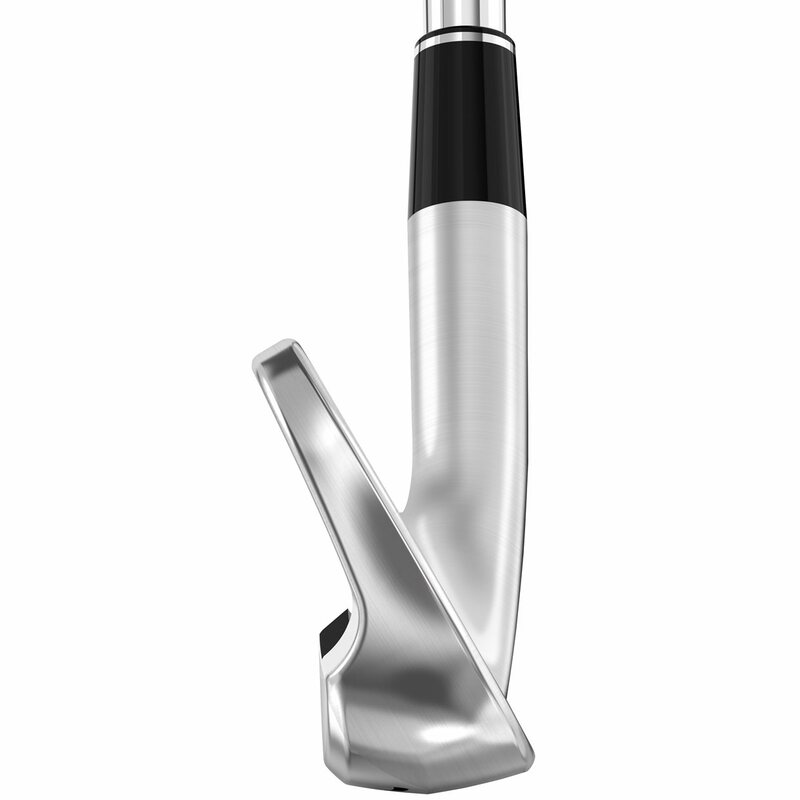 This design helps get the club through the turf easier, improving shot consistency. 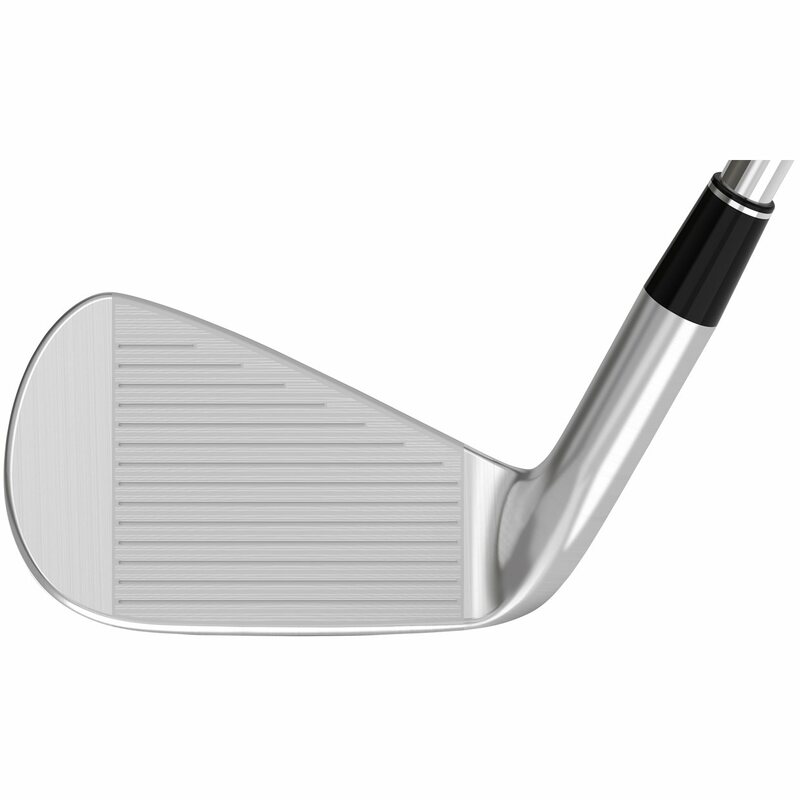 The improvements to the sole over the previous version is found in the long irons, which have a wider sole for added forgiveness. The body of the Z585 is forged out of a soft, 1020 carbol steel. The face insert is made of a thin, strong SUP10 material. Constructing the head like this gives the irons tremendous feel and added distance. 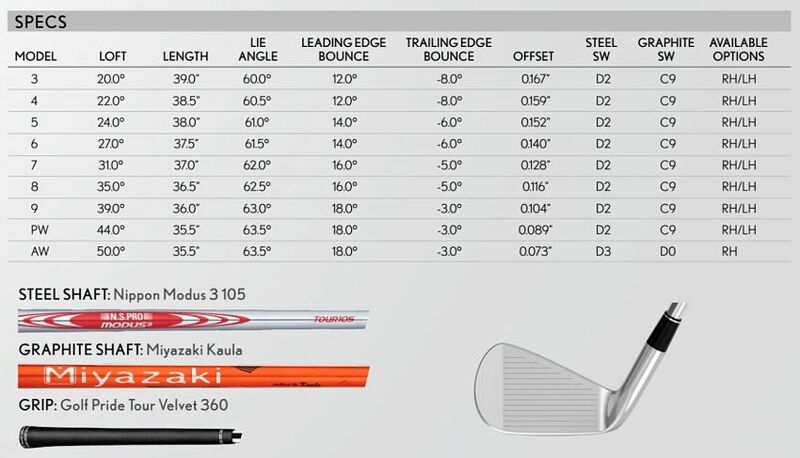 Below, you'll see the stock specs and shaft options for the Srixon Z585 irons.